Looking for a vegetable gardening tip? 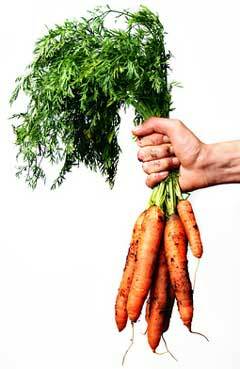 No worries; after all there is no better feeling, or taste, than freshly grown vegetables. - you know exactly how the vegetables have been grown and that they are free of unpleasent chemicals or other additives. 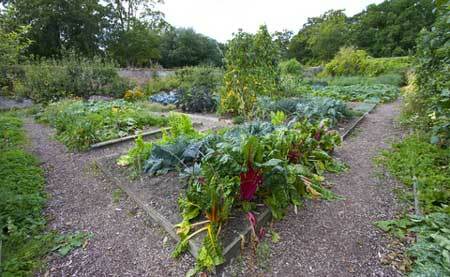 Try planting your vegetables in beds so that the soil will retain warmth when the weather turns colder. The soil structure can become compacted by walking on the soil if the garden is planted in rows - affecting the soil's ability to create sturdy, healthy plants. Also, composting can be contained in the beds ensuing enhanced results. While watering a vegetable garden requires care, a soaker hose is more efficient at keeping the water concentrated in the soil not on the leaves. By rotating crops you will help preserve nutrients in the soil. Perennial vegetables should not be rotated and are more successful planted autonomously. Examples of perennial vegetables are Artichokes, Strawberries, Sweet Potatoes and Spinach. Perennial vegetables usually require less tending and yield edible leaves, stems or other parts usually year around. Keep hardy or semi-hardy vegetable plants in their own groups to increase the chance of a bumper and healthy crop. Alliums will include bulb forming plants similar to Onion and Garlic. Brassicas are plants that are related to the mustard family like Broccoli, Cauliflower, Brussels Sprouts and Cabbage. Crufiers which are usually climbing or trailing plants of the gourd family consist of Turnips, Radishes and Rutabagas. Cucumbers, Zucchini, Melons and Pumpkins fall into the family called Cucurbitaceae, similar to the gourd family as well but have a tough skin with fleshy inside. Peas and Beans are in the Legumes family. Solanaceaes are Tomatoes and Peppers. The Mescluns vegetable grouping includes Chicory, Radicchio and Swiss Chard. Note: If you have a great vegetable gardening tip to share, or want to show off your container vegetable gardening or send photos of your bumper vegetable crop, please Contact Us - we'd love to add it to this page!